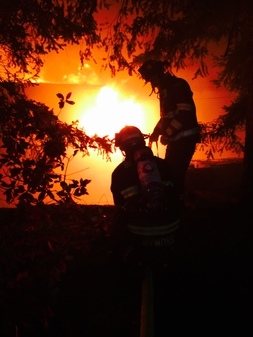 Members of Bellevue Fire Department hard at work. 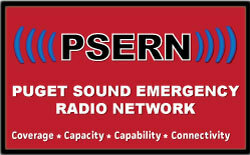 The PSERN Joint Board (Board) is now an official entity. The Board is made up of partners from the City of Seattle, Valley Communications Center (ValleyCom), Eastside Public Safety Agency (EPSCA) and King County. The Board is responsible for overseeing the implementation phase of the PSERN Project and now replaces the informal Steering Committee. The Board will also appoint a chief of a police agency and a chief/commissioner of a fire agency to serve as non-voting participants on the Board. Last month, the Board held its first meeting since being formed and had a lot of issues to discuss including governance, program updates, site viability and much more. The PSERN Joint Board will meet regularly every 4th Tuesday of the month with the exception of special meetings when necessary. We look forward to continued work with our partners to build a quality new emergency radio system for our first responders so they can continue to keep our communities safe. 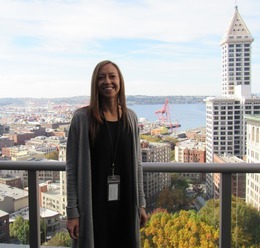 PSERN IT Administrator Tracey Doss takes at break to catch the view on the 13th floor of the Chinook Building. A native of Montana, Tracey Doss has been living in Seattle since 1997. She has been with King County for 3 years now where she worked on the Lync team and as a Business Analyst. She recently joined the PSERN team as an IT Administrator. How long have you been working on the PSERN Team? 1 month. Or 1/12th of a year. What are your day to day responsibilities for PSERN? 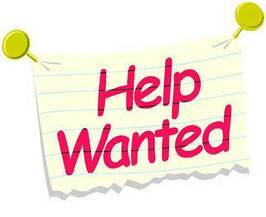 Support the program team and the Director with administrative, analytical, project management, financial and other project aspects as needed. Occasionally feed them. The PSERN program team works very well together and is very close knit which makes for an enjoyable working environment. What is your most memorable moment working on PSERN to date? The arrival of “Mic” our new mascot! Meet the Newest Member of the PSERN Team and Mascot! -"Mic"
PSERN Mascot "Mic" studying up on project documents! Formerly a resident of Plantation, Florida Mic made his way to the Northwest last year. A friend told him about the open position with PSERN as a mascot so he applied and wowed the panel with his enthusiasm and charisma. 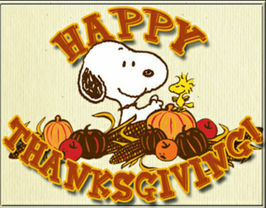 In his spare time, Mic likes bowling, hiking and traveling to see extended family in Schaumburg, Illinois. Mic has already been pretty active in his short time on the PSERN team. He has already been helping staff spread the word about PSERN. He made his first appearance at the PSERN Task Force Committee meeting to hear from the first responder community and will be out about at others soon. Be sure to look for Mic's blog coming in the New Year and follow us on Twitter @radiomatters to keep up with what Mic is up too! 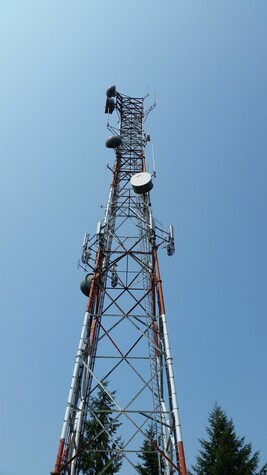 Radio Tower at the Top Hat site. 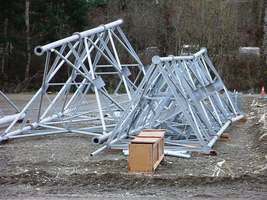 How high do the microwave link antennas need to be and how big are they? How high do the Land Mobile Radios need to be, and what style are they? What is the available space on the ground? What are the local jurisdictional restrictions? How and what are the soils composed of? Does the FAA have any restrictions? Towers can range in feet from 90-300 feet tall and in some cases around the world you may see them as tall at 2,000 feet! 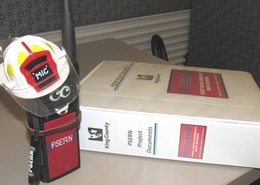 This Friday, PSERN will receive the Land Mobile Radio design documents--the first of many deliverables from the system vendor Motorola Solutions who is under contract to install the new PSERN system. 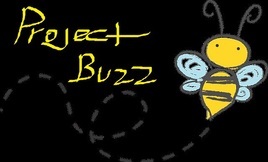 Project staff will review and comment on the documents. November 20, PSERN will hold an open house for potential construction firms to come and hear about the program and where things are currently. Follow us on Twitter @radiomatters and receive your PSERN swag while supplies lasts! We need your help spreading the word about PSERN! Please forward the newsletter to your colleagues and encourage them to sign up to receive their very own copy!